We know you’ve been saving your Credits for this one. 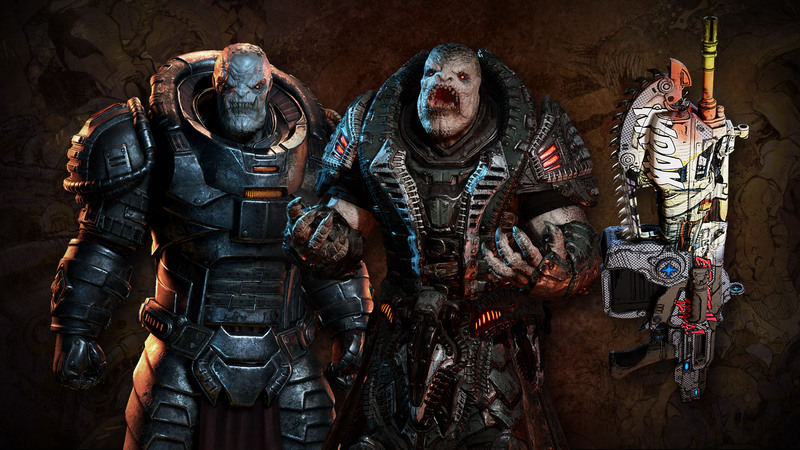 The Rise of RAAM content will finally be available for credits in a brand new Gear Pack beginning Friday! Featuring Uzil Sraak, Vold RAAM, Comic Book Weapon Skins and a new emblem, this Gear Pack will be available as a 400 Credit 3-card Gear Pack for a whole week. Note: We discovered a last minute issue with the planned 2000 Credit option version of this Gear Pack. Due to this issue, the 2000 Credit 5 Card Gear Pack will not be available at the launch of the Rise of RAAM content for Credits. We are working on getting this issue resolved for the next appearance of the Gear Pack in order to provide two options for players. Our first Summer of Gears featured playlist begins next week with Guardian! In case you missed the news last week, every week we’ll be adding 4XP (!!) to a selected Ranked Playlist until the end of Ranked Season 4. That means from Monday 13th August – 20th August, Guardian is offering up a whopping 4XP! Great news for those of you chasing that Diamond Scion. Should Guardian not be your jam, don’t fret – Double XP is available on all other playlists until the end of August. Check back next week to what playlist will get the next 4XP bump!! This weekend is your last chance to pick up 30 kills in Golden Gun (or with a Boltok in any Social playlist) to earn yourself the Heartbeat Boltok and Flaming Boltok! Hip-fire your way to those new skins, Gears fans. In case you hadn’t heard, our Design an Achievement opportunity has now closed! The team has begun their initial reviews of the submitted achievements, created a shortlist and are honing in on the provisional list. Thanks to all the people who submitted ideas – your response was overwhelming and all of the seriously great ideas. Next week, we’ll reveal our provisional list of community selected achievements – this won’t be the full list (we’ll be keeping some surprises), nor will it be the final one as we’ll need to make them work first! Once implementation is complete, we’ll be sure to let you know the final list of achievements right here in What’s Up. 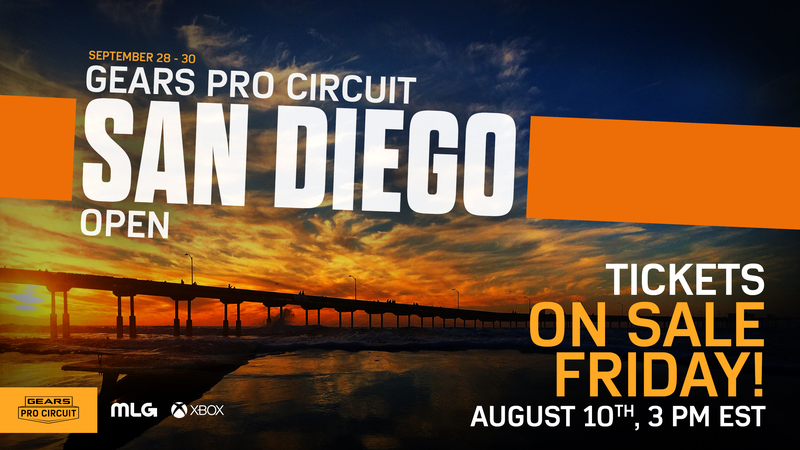 This week in Esports included the return of the Mixer exclusive Gears Pro Circuit All Access reality series, and several significant announcements pertaining to the upcoming Gears Pro Circuit San Diego Open. In its 14th episode, this week’s Gears Pro Circuit All Access took a deeper look into the recent Gears Pro Circuit New Orleans Open, the high profile roster changes that leading into it, and the aftermath that followed. Although we could go into detail concerning “Who said what”, we highly recommend you check it out yourself by watching the latest episode here: https://www.youtube.com/watch?v=4Y8PMDE3mwk. The Gears Pro Circuit San Diego Open is coming up next month, and since the New Orleans Open less than a month ago, we’ve been inundated with fans and players asking where and when they can pick up their passes. Well, without further ado, passes will be available this Friday at 3PM ET (12PM PT/7PM GMT) for the upcoming major event, which we announced this week will be hosted by renowned tournament operator MLG at the Town and Country Resort and Convention Centre. With a top-flight tournament operator, amazing city, and new, unannounced surprises waiting in the wings, you will not want to miss this event. Keep an eye on http://twitter.com/esportsgears to find out more info on how you can pick up your pass for what’s guaranteed to be an amazing event. 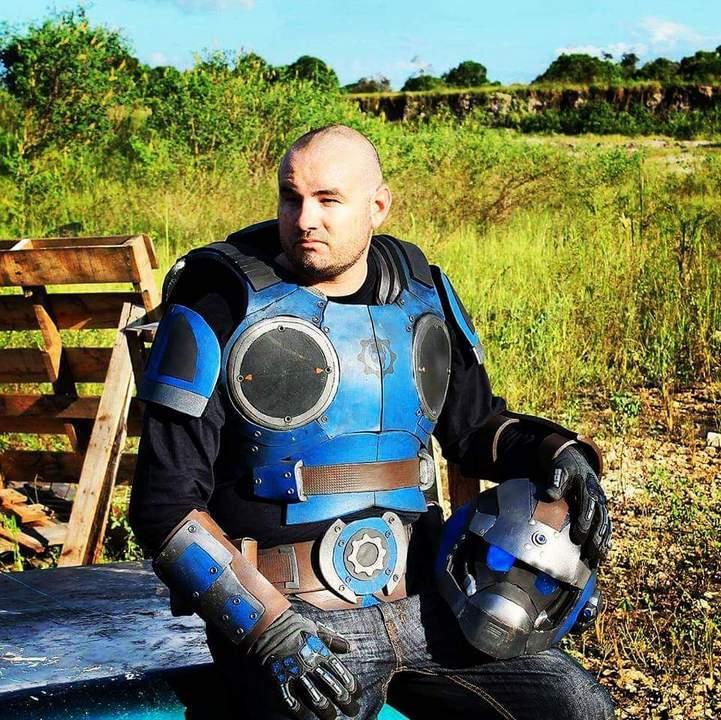 Greetings Gears, Vectes here. 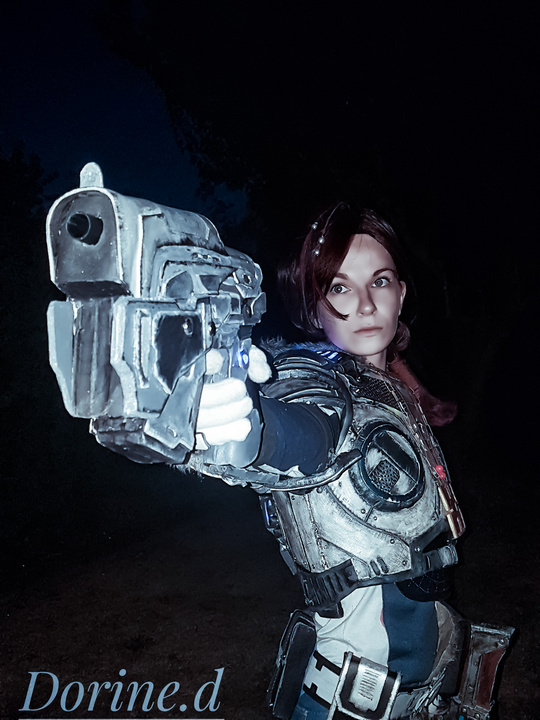 This week, we wanted to highlight some great Gears cosplay! Seeing our fans dressed up as their favorite character during game conventions is always an amazing feeling. It’s the best reward for us, developers, to see the characters that we designed coming alive through you. It is also what makes us part of our Gears family, we recognize each other and we geek out, celebrating together our love for the game and the franchise. 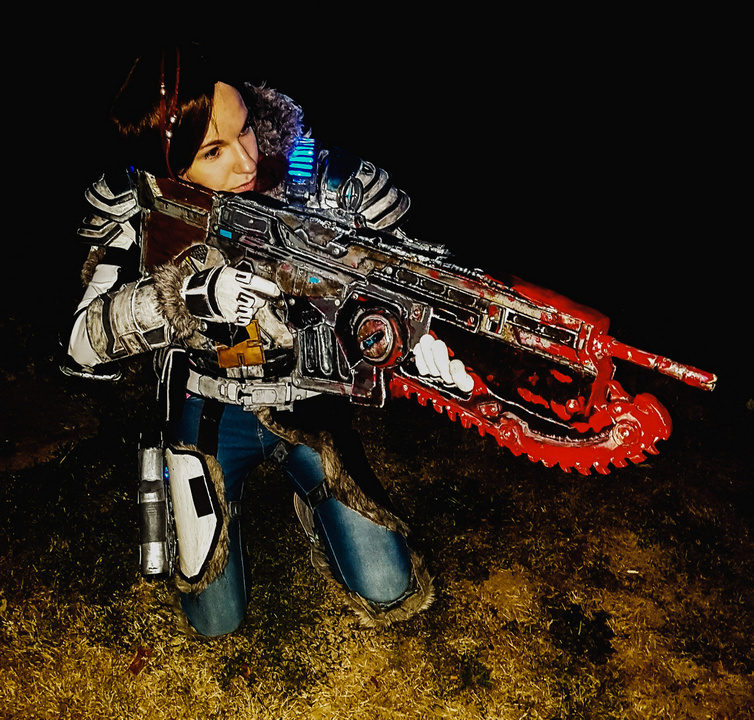 Pockyy is getting ready for Gears 5 with this amazing costume of Kait as seen in the E3 reveal trailer! Be sure to follow her on Twitter and Instagram! 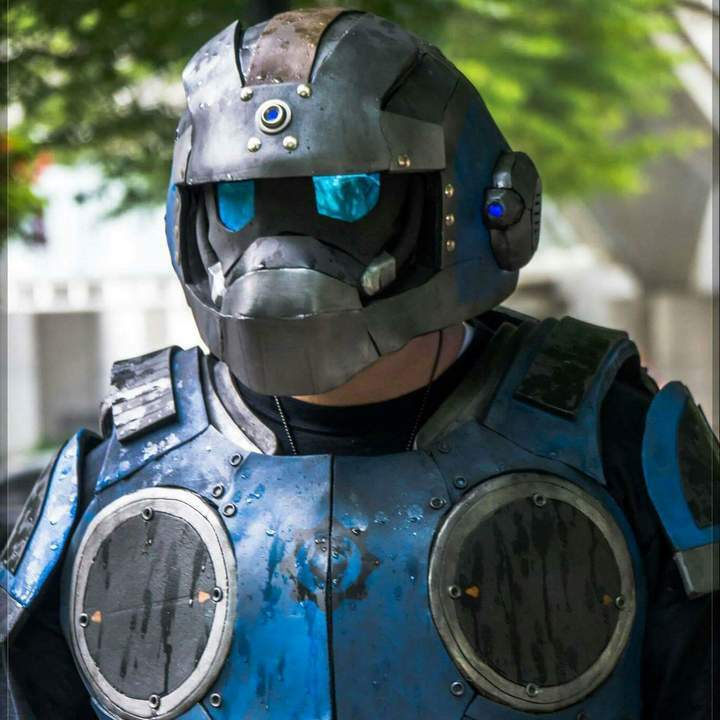 Check out this awesome COG Armor inspired by Anthony Carmine from Th3 Mandalorian! You can see more of his work on Facebook and Instagram. 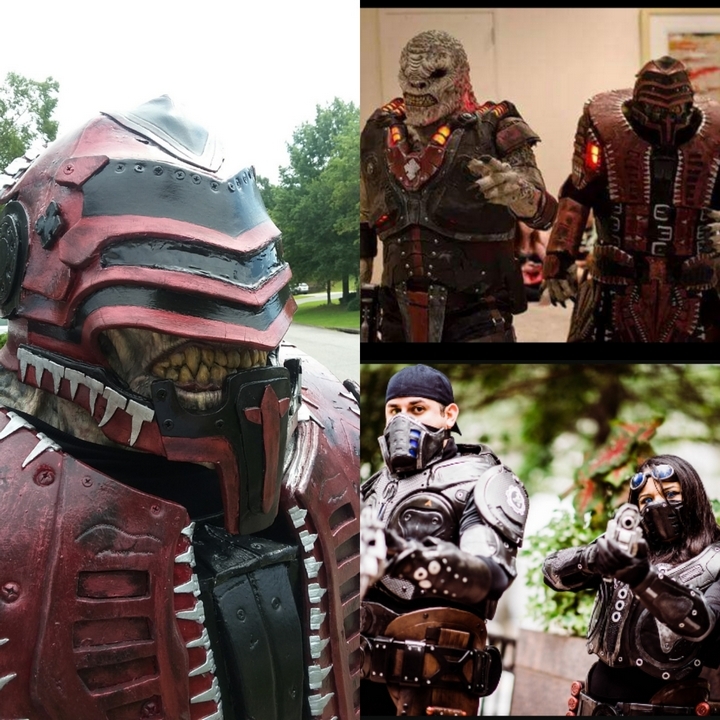 Check out this amazing cosplay of a Locust Drone, Theron Guard AND their unique take on the much-loved Onyx Guard. Be sure to give them a follow on Instagram! 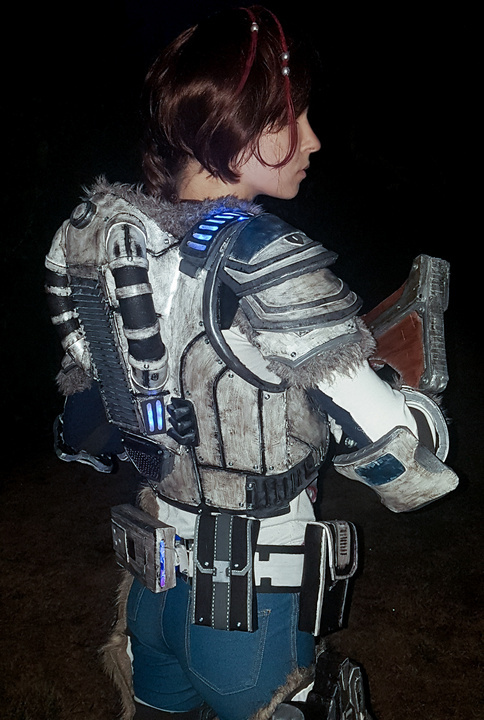 If you are a Gears Cosplayer, be sure to continue to send us your photos here. We want to see more of your creations! Next week, we will put our focus back on our Gears Video Creators. Are you one of them? Tweet a link to your channel to @CoalitionGears with #WhatsUpGears for a chance to be featured in What’s Up next week! Everyone featured will receive the TCA Commendation Lancer.